Camp Nou. The vibrance erupting through the stadium, the echo’s of yelling fans, the articulate yet free flowing style of Barcelona football, is all simply magnificent. 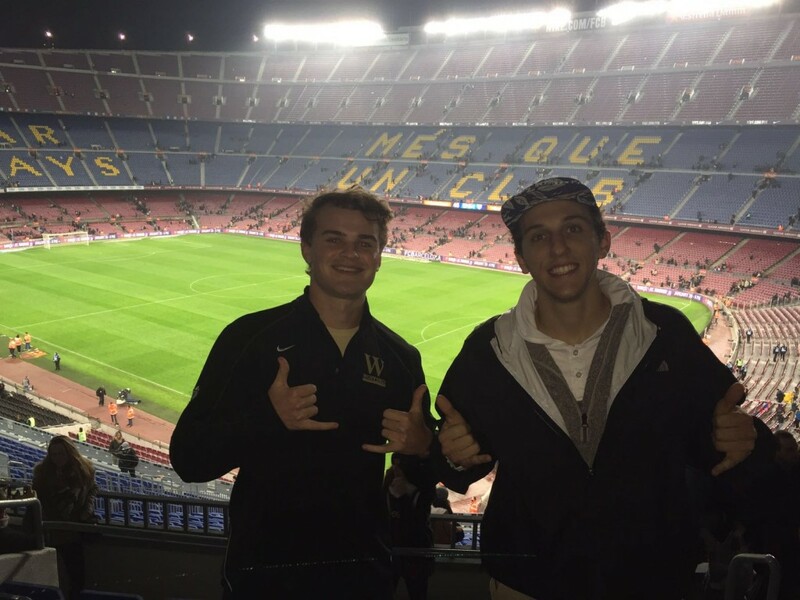 A few days ago I had the pleasure of experiencing this firsthand as Barcelona FC played Athletic Bilbao in the Copa del Rey quarterfinal. Barcelona triumphed Bilbao 3-1, winning the quarterfinal 5-2 on aggregate. Watching the likes of Messi, Neymar, Suarez, and Iniesta, whom are all some of the greatest soccer players of the modern era, has been the highlight of my time abroad. I will certainly be back! A few days after the Barcelona game, I traveled to Leeds, England to visit and watch a proper “football” match with two Hope College Alumnus: Will Morlock and Connor Kogge. 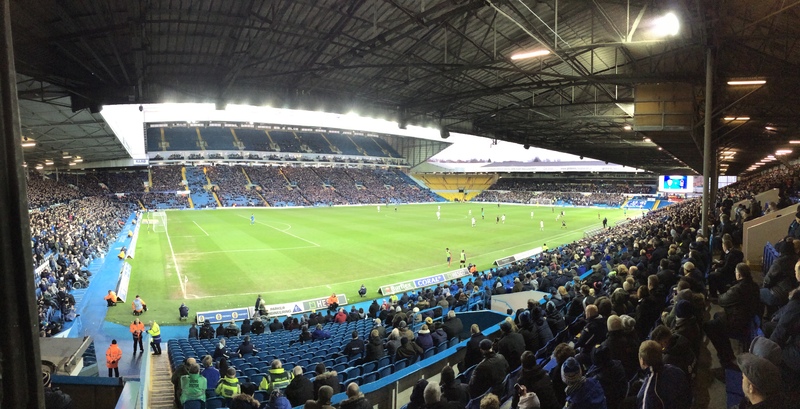 We watched a Championship League match between Leeds United and Nottingham Forest. The Championship division is the 2nd division in England, underneath the Barclays Premier League. It is said to be the “real football experience” as these clubs are typically smaller in stature, but have a stronger, more centralized fan base than Premier League Clubs. This stadium’s atmosphere differed entirely from Camp Nou (Barcelona FC’s stadium). First off, it is much smaller, holding just under 40,000 fans. Second, the style of football being played is completely different. Leeds played a very direct style with many long balls forward and over the top of Nottingham’s defence. The Leeds United fans actually booed their own players whenever the ball was passed backwards. Finally, there were no tourists (besides myself), only locals at this game. Leeds United fans bleed Leeds football until they die, and have a deeper passion for their team than Barcelona’s fans do for Barca FC. Experiencing these two games, totally different in culture and location, represent the possibilities available to Hope students through studying abroad. One day you’re in Barcelona, and the next you are halfway across Europe on a flight costing you less than $40. I could not fathom doing this at any other time in my life, especially while in school. To be able to experience theses tastes of different cultures firsthand is a memorable experience and one I recommend to any and all.